In case you needed something else to worry about. Texas researchers have closely watched the state’s bat population for years, looking for signs of a disease that has killed millions of North American bats: the white, powder-like substance on their nose and wings, the erratic hibernation patterns, the piles of dead bats at cave openings. And every year, those researchers breathed a sigh of relief. Their bats were safe. That changed last year. Swabs from three different kinds of bats in the Lone Star State’s panhandle came back positive for white nose syndrome, aptly named for the white fungus that grows on the tiny winged creatures. 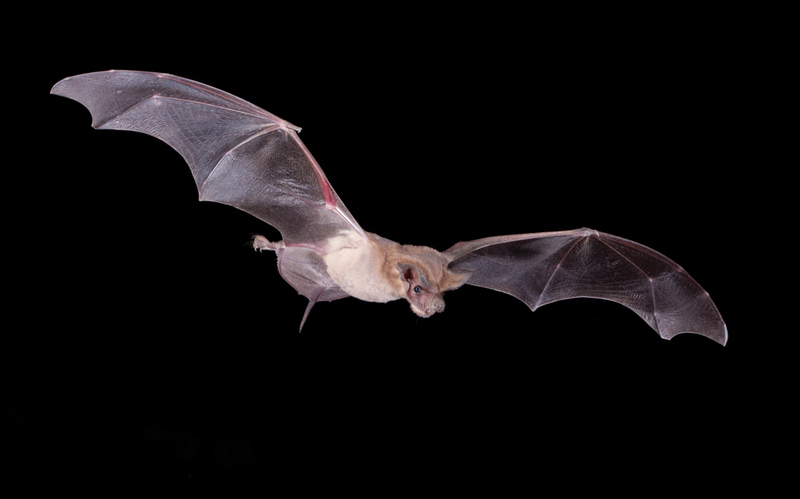 The discovery of the disease, which has a nearly 100 percent mortality rate, was “devastating,” said Winifred Frick, senior director of conservation science at the Austin-based Bat Conservation International (BCI), at a news conference Tuesday. But about $600,000 in grants announced Tuesday by the National Fish and Wildlife Foundation could help researchers stop the disease’s spread in Texas. That amount is part of $1.36 million being handed out in the U.S. and Canada for six projects. The money comes from public and private entities: the foundation, the U.S. Forest Service, the U.S. Fish and Wildlife Service, Shell Oil Co., and Southern Co., an Atlanta-based gas and electric utility business. I’m hopeful, too, because Texas is a very bat-ful state, and we need them around. Go visit Bat Conservation International if you want to learn more or get involved. Remember how wet and rainy it was earlier this year? It ain’t like that now, though we do have some rain coming later this week. After an uncharacteristically wet early-summer across Texas, the Lone Star state’s weather has turned dry since early August. An estimated 14 million Texans are now living in drought-affected areas, with Houston being the only major metro area with reasonably moist soils. But even Houston is starting to feel the pinch. Most parts of the region have received just about a quarter of an inch of rain during the last four weeks. Three months ago less than 1 percent of Texas was in a drought, today nearly 50 percent of the state is. Along with the upper Texas coast, only the Panhandle, far west Texas and South Texas are free of drought. This overall dry pattern could change during the final 10 days of the month, as forecast models indicate a more southwesterly flow that would be more conducive to showers. Texas typically has wetter and cooler winters when El Niño develops in the Pacific Ocean. However, when particularly strong El Niños develop,which are currently happening, that does not mean an extra wet upcoming winter for Texas, Nielsen-Gammon said. However, even normal rains during the winter should be enough to quench the state’s developing drought. Let’s hope so, because anything resembling what we went through in 2011 would be devastating. Not much more we can do about it right now, but a little basic water conservation would be helpful and is never a bad idea. And let’s hope the system that’s coming our way brings plenty of the wet stuff. Yes, we’ve had a lot of rain lately. 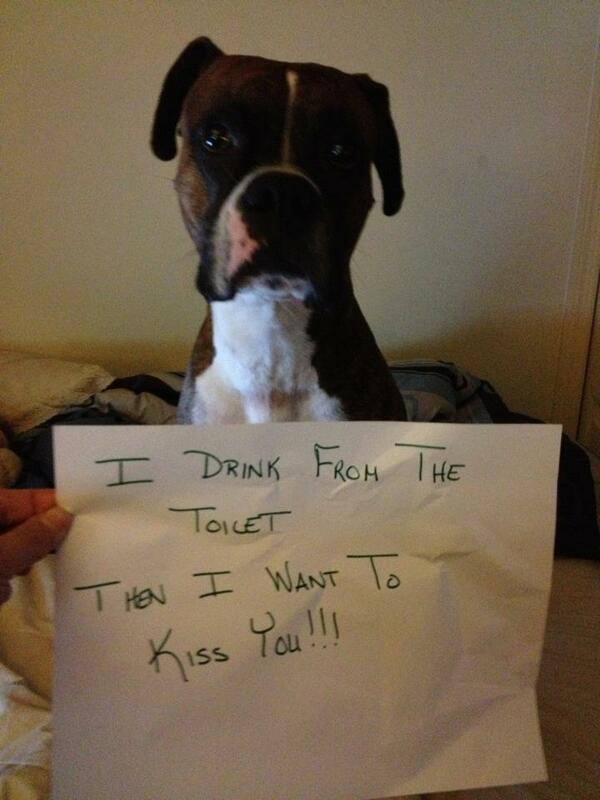 No, that hasn’t solved all our water problems. 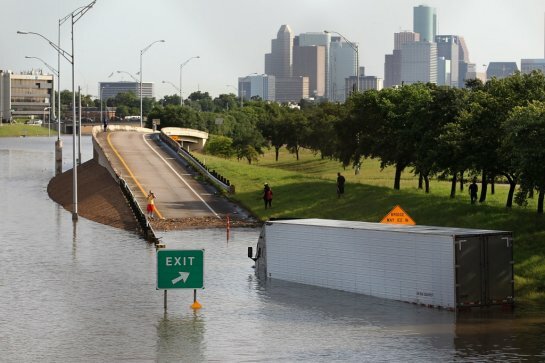 The recent rainfall that drenched much of Houston and the state was thought to put the drought and the state’s water supply concerns at ease as summer approaches. Texas, known for multiyear droughts, now has many lakes and reservoirs over, at or near capacity. Today, only 15,726 Texans are affected by drought– a sharp drop from the 10.8 million affected at the beginning of the year, according to the U.S. Drought Monitor. But water shortages are affecting millions because bulging lake levels and soaked soil don’t reflect the levels of underground reservoirs. For example, the 8 inches that fell on tiny Lazbuddie in May wasn’t enough to restore the underground water table. About 10 million Texans, including 600,000 in the Houston area, are under some level of water restriction, limiting nonessential usage. Of that, 60,000 residents, primarily to the west and south, are at risk of running out of water, according to state data. 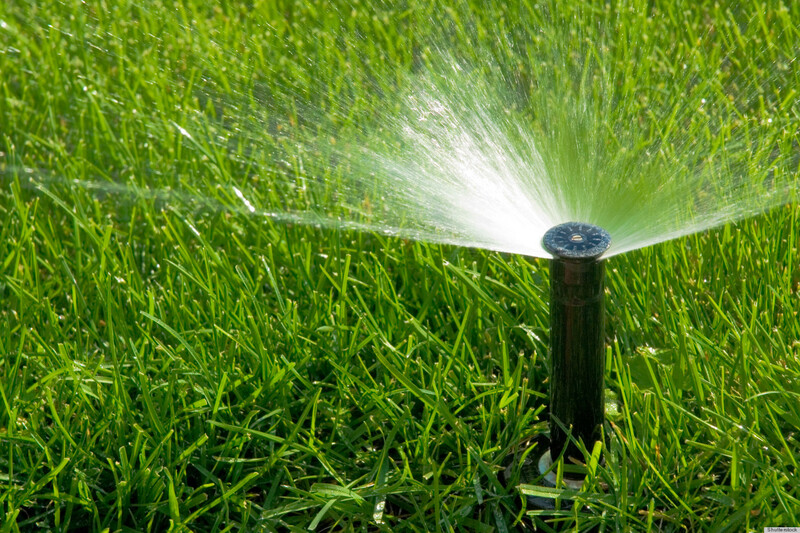 Some of the restrictions in Harris, Montgomery, Brazoria, Liberty and Galveston counties range from mild to moderate and include limiting outdoor watering to no more than once a week or prohibiting all outdoor watering. One problem is that many residents, including those in the Houston area, rely heavily on groundwater. While a lake’s reservoir can be filled in a day or two, it can take several significant years of rainfall and a few additional years on top of that for the rain to seep through and recharge an aquifer. “Aquifers do respond to rainfall, but it’s very slowly,” said Larry French, groundwater resource division director at the Texas Water Development Board. According to the state water board, about 2.2 million Texans rely on groundwater from their own wells for their drinking water. And groundwater supplies more than 99 percent of drinking water for the rural population. To say May’s showers ended the drought depends on where a person lives and where their water comes from, French says. “East Texas has been blessed with an abundance of surface water, but West Texas is a different story,” French said. One of the things that the water infrastructure bond issue from 2013 is intended to do is help build reservoirs, which deals with this problem. Of course, as much as anything, the real issue is population growth. The more people drawing from the same source – as is the case in Montgomery County, which the story notes is starting to draw some water from Lake Conroe – the less there is for everyone. The bottom line is that conservation is still a vital component of any water plan for Texas going forward, whatever part of the state you’re in. It’s a simple enough formula – reduce energy usage, save money. 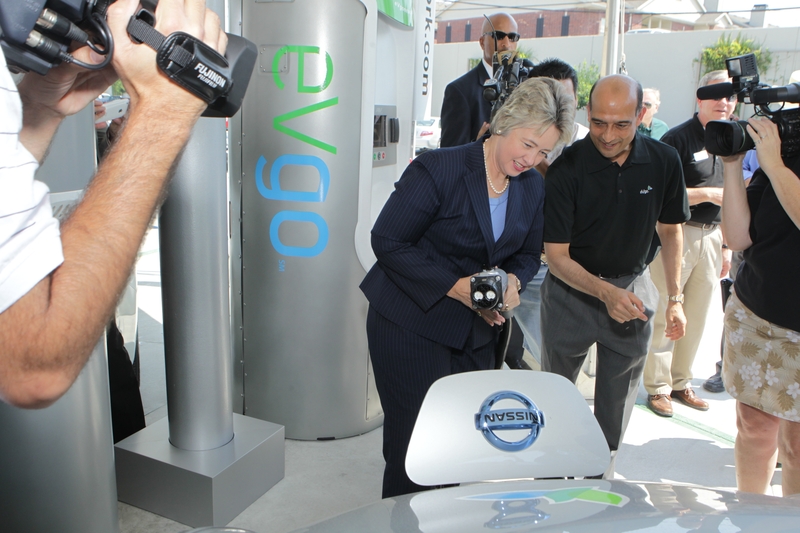 As Houston leaders push the counter-intuitive notion that the world’s energy capital can go green, and pledge ever-lower emissions goals for municipal operations, installing energy-efficient lighting and low-flow toilets can seem like hopelessly small measures. City data show a seven-year effort to retrofit municipal facilities with those types of energy-efficient upgrades is working, however. 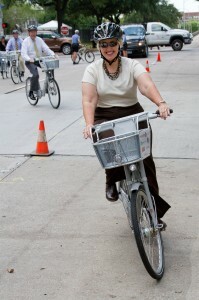 And that matters, since Mayor Annise Parker’s office says energy costs are the city’s third-largest category of spending, after employee salaries and benefits. The energy and operational savings produced by upgrades to 87 city buildings, completed over the last four years, have averaged $5.2 million a year. That trend is beating officials’ original estimates, and, if it holds, will see the investments pay for themselves in about 10 years, more than two years sooner than projected. The city will continue to operate the buildings beyond the next decade, added Gilberto Lopez, a senior project manager in the city’s General Services Department, capturing even more savings into the future. Even if the positive trend were to reverse, Lopez said, both contractors handling the upgrades for the city guarantee results from their work, and will cut the city a check if the buildings don’t perform. 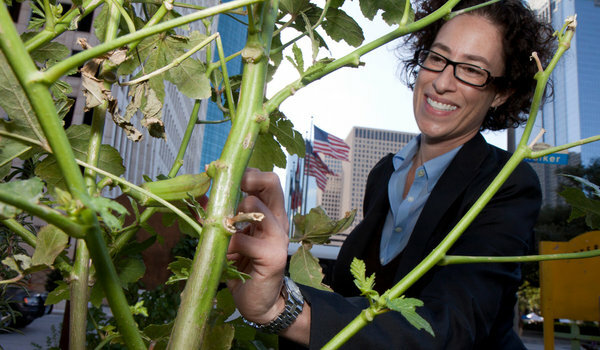 Houston has decreased its greenhouse gas emissions by 32 percent since 2007, and Parker earlier this year committed to cut emissions by another 10 percent by 2016. Parker also this year announced the city would work with CenterPoint Energy to convert 165,000 city streetlights to light-emitting diodes to reduce energy use, electricity costs and emissions. White and Parker also passed new codes for new commercial and residential development requiring greater energy efficiency. Such efforts are an important component of acting sustainably, said Luke Metzger, director of Environment Texas, because an estimated 40 percent of all the energy used in the United States is consumed by buildings. Putting aside the not-inconsiderable environmental benefits, this is savings without having to cut anything, and it’s ongoing. There’s nothing not to like about it. It’s true that any individual LED light or low-flow toilet doesn’t make much difference, but a couple thousand of them together adds up to quite a bit. Kudos all around. It was a little confusing at first, but the bison at Caprock Canyons State Park are settling into a pasture that’s 10 times what they were used to — basically the entire park. Park staff opened up 10,000 acres to the approximately 100 members of the Official Texas State Bison Herd on Tuesday, a big step in a program that has expanded their access since it started in 2010. “We’ve kind of been working them with feed trucks to follow. When they got through the gate, they’d go into any opening to check it out,” said Donald Beard, park superintendent. And with all that range to roam on, the animals descended from the almost-extinct Southern Plains herd settled into an area of about 200 acres. “They’ve been there for three days. It’s a restored area where we put a prairie dog colony,” Beard said. It was a bit of a historic event in that the herd is wandering almost freely on prairie their ancestors used before hunting nearly wiped them out, and before pioneer cattleman Charles Goodnight captured remnants of the herd in 1878 to raise and breed. The Texas Parks and Wildlife Department staff and volunteers rounded up the beginnings of today’s herd from JA Ranch, south of Clarendon and Claude, and brought them to Caprock Canyons, just north of Quitaque, in 1997. There are still areas that need the habitat restored, and TPWD wants to continue to grow the herd. Here’s a bit more from the Chron. In 2003, media tycoon Ted Turner donated three bulls to help the herd, which had gone through more than a century of inbreeding that threatened its survival. At the time, the herd had dwindled to 53. The Texas herd was started in the 1870s with five bison calves captured by Charles Goodnight, one of the most prosperous cattlemen in the American West, with more than 1 million acres of ranch land and 100,000 head of cattle at his peak. His wife urged him to save the bison, also known as buffalos, because hunters were killing them by the hundreds of thousands for their hides and meat and to crush American Indian tribes who depended on the animals for food and clothing. The herd was donated to the state in 1997 and moved to 330 acres of the state park, which was once part of Goodnight’s JA Ranch between Lubbock and Amarillo. When the Transcontinental Railroad was built across the United States in the 1800s, the bison – which are believed to have numbered in the tens of millions – were split into what was known as the Northern and the Southern herds. I don’t have anything to add to this. I just love stories like these and figure they’re worth sharing. More conservation would mean less demand and less need going forward. Drought-prone Texas could make better use of its existing water supplies and avoid spending billions of dollars on new reservoirs, pipelines and other big-ticket projects with more realistic forecasts for demand, according to an analysis released Friday. The report by the Texas Center for Policy Studies, a nonprofit environmental research group, concluded that the state overestimates how much water it will need as its population grows over the next half-century. The state also underestimates the potential of conserving water in dry times. As a result, Texas is trying to add 8.3 million acre-feet of water by 2060 with new infrastructure. An acre-foot is typically enough to satisfy three families for a year. But the report found that the state could reduce the gap to about 3.3 million acre-feet through conservation and use of unconventional sources, such as brackish groundwater. The report received a mixed review from the Texas Water Development Board, which oversees the state’s water planning. The agency acknowledged that some of it assumptions could be revised but was skeptical of other changes proposed in the study. For now, Texas’ plan calls for new reservoirs, pipelines and other water-supply projects to avoid grave shortages in 50 years because of an ever-swelling population. State officials estimate the price tag at $53 billion. To spur development of projects listed in the plan, Texas voters decided last November to dip into the state’s savings account to create a $2 billion fund that would reduce borrowing costs for municipalities seeking to increase their water supply. But the report said Texas might not need to spend so much to increase its water supply, particularly if its demands are lower than projected. The forecast is inaccurate in part because it assumes that each Texan will use almost the same amount of water each day in the future even as new technology is helping them to use less. The report is here, the Texas Center for Policy Studies project page with all of their related work is here, their press release is here, and the TCPS blog post with a summary of the report is here. As you know, I firmly believe we need to emphasize conservation and where possible prioritize it over building new water infrastructure. It’s cheaper and more sustainable, and cities like San Antonio and El Paso have shown it’s readily doable. The plan that was approved in last year’s referendum does include some emphasis on conservation, to its credit, but there’s always room for more. I’m glad to see the TCPS highlight this. Booming population growth plus greater upstream demands on their main water source equals thoughts of alternate water supplies. 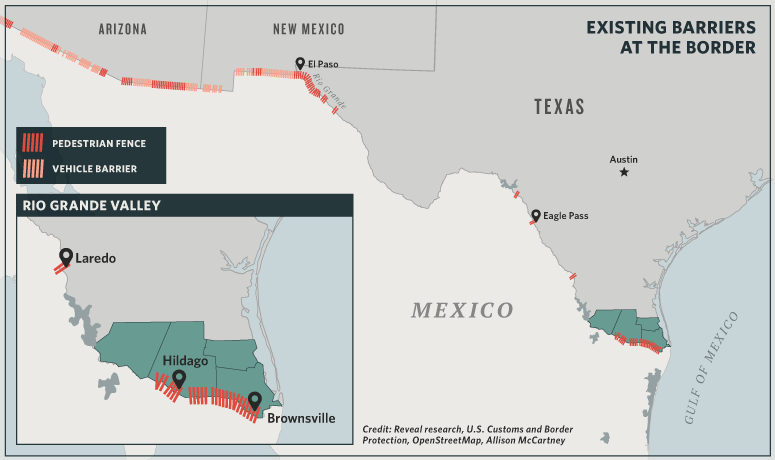 By the time the Brazos bisects Brazoria County on its way to the Gulf of Mexico, it’s all but tapped out, unable to keep pace with new urban demands. 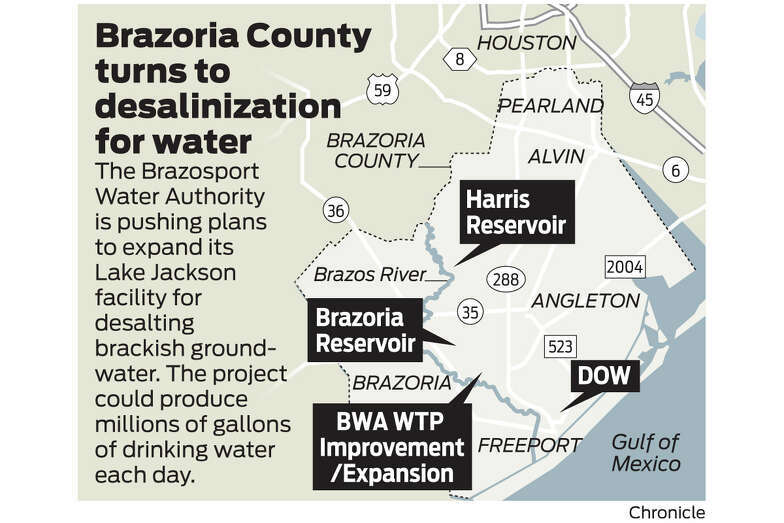 To firm up its water supply, a Brazoria County utility is moving quickly to pump from a massive saline aquifer beneath the Houston region’s surface. The Brazosport Water Authority’s roughly $60 million project – once the first phase is completed in 2017 – would convert millions of gallons of salty water into potable, or drinking, water each day. The process, known as desalination, is used across Texas, mostly in the drier western half of the state. The Lake Jackson facility would be the first of its kind in greater Houston, which typically benefits from plentiful rain and full reservoirs. The city of Houston, in particular, is planning to meet its long-term needs with surface water and reused wastewater. Desalination is energy-intensive and expensive, but the stubborn drought, which now covers three-fourths of Texas, has infused the discussion about its possibilities with a jolt of urgency. Lt. Gov. David Dewhurst, for one, has instructed a state Senate committee to study how to expand the use of brackish water before the Legislature convenes in January. Texas already has built 46 desalting plants for public-water needs. But there is the opportunity for manymore, considering the state holds about 2.7 billion acre-feet of brackish groundwater, the Texas Water Development Board estimates. That’s more than 150 times the amount of water the state uses annually. For all its untapped potential, desalination of brackish water might not be a cure-all for a thirsty state, experts say. In addition to the cost, which will result in higher rates for customers, the desalting process requires disposal of the leftover brine in a way that avoids harming fresh water and the environment. And it is still unclear how the push for brackish groundwater will impact the Houston region’s persistent problem with subsidence, the sinking of soils as water is pumped from underground. The geological condition can crack pavement and cause flooding. Several coastal communities are weaning themselves from groundwater because of the issue. Some people worry that the project will become a high-tech monument to panic. The water authority should focus on conservation and the reuse of wastewater, said Mary Ruth Rhodenbaugh, a former Brazoria County commissioner who served on a local water-planning task force. I’ve written about desalinization a few times before. It’s an increasingly popular proposal around the state, as there’s plenty of potential supply. But it’s expensive, there are issues with what to do with the briny wastewater, and as noted no one really knows what the subsidence effect will be. No question, the best alternative is always conservation, and I don’t think that gets enough emphasis. If cities like San Antonio and El Paso can do it, surely Brazoria County can as well. We lose way too much of it because our infrastructure is old and in need of replacement. At a time when the Lone Star State is facing a grave water shortage and its population is expected to double by 2060, billions of gallons are hemorrhaging from Texas’ leaky old pipes. The exact loss is unknown as only 10 percent of the state’s 3,500 utilities were required to report their 2012 losses. But in Houston, enough water seeped from broken pipes to supply 383,000 residents for one year. According to city records, Houston pipelines gushed 22.4 billion gallons of water in 11,343 leaks last fiscal year. That equates to about 15.2 percent of the city’s total water supply. No state standard exists on an acceptable loss rate, but some utilities manage to hold their losses to single digits. Proposition 6, which Texas voters approved last month, could help fund some Houston pipeline improvements since 20 percent of the $2 billion was set aside for statewide conservation efforts. The fund is designed to secure the state water supply for the next 50 years. “We are still working on establishing the rules for using this money. 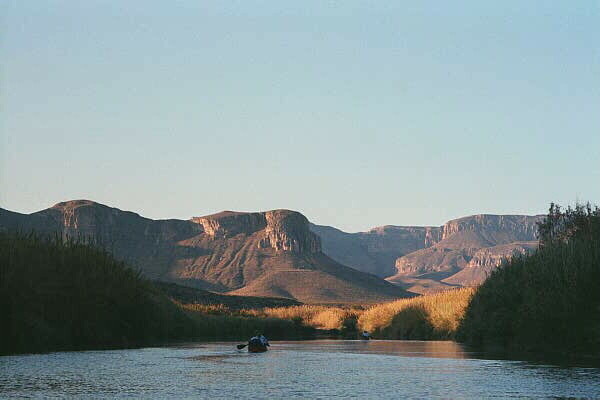 It should be available by 2015,” said John Sutton, Texas Water Development spokesman. Mayor Annise Parker’s spokeswoman, Jessica Michan, said the city plans to go after the conservation funds. Michan said the city already has a separate request in with the TWD for $71 million to rebuild 130 miles of pipe. That request is still pending. 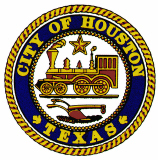 Alvin Wright, Houston’s public works spokesman, said it would take an “astronomical sum”- several billion dollars – to upgrade Houston’s entire system. 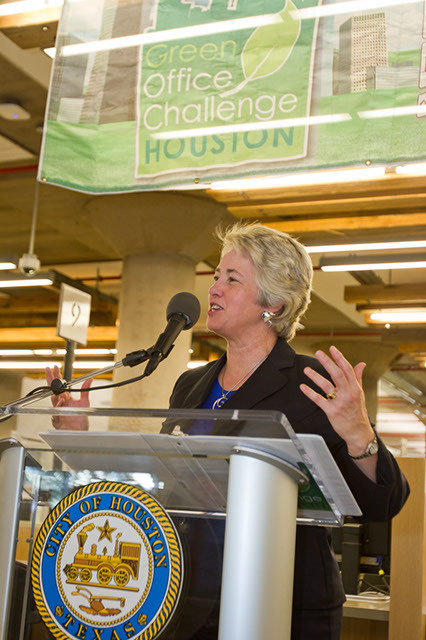 Well, water conservation is on Mayor Parker’s third term agenda. I don’t know how much they’ll be able to fund via this mechanism, but perhaps there are some high-value projects that can be done first. This sort of work really needs to be done, and should be prioritized because the fewer the leaks, the less new capacity that will need to be built. There’s plenty of this kind of work to be done across the state, and around the country. Ideally, there would be a federal program to provide grant money for all this work, but Republican nihilism plus an obsessive myopia about the deficit means that will never happen. Prop 6 was far from perfect, but it was the best we were going to get. Let’s make the most of it. A good poll result for the water infrastructure Constitutional amendment. 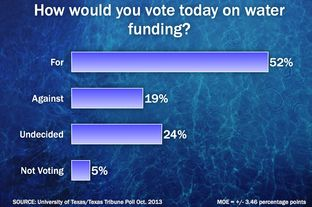 Texans support $2 billion in water infrastructure financing by a better than 2-to-1 margin, but nearly a quarter haven’t decided how they will vote on the issue this November, according to a new University of Texas/Texas Tribune Poll. The crosstabs are here and the poll summary is here. As pollster Henson explained in a subsequent post, the trick to these low-turnout affairs is to guess who really is a “likely” voter. (See also: Polling in Houston Mayoral races.) The good news for the pro-Prop 6 forces is that they span the political spectrum and have a lot more money than the opponents. They also have better organization and frankly, a better argument than the naysayers. Until now, there has been little opposition to the measure, and even those leading the fight describe the coalition as “informal.” It includes libertarians, property rights activists, tea party supporters and rural residents worried about losing access to water. In Houston, Kathie Glass, a Libertarian candidate for governor, said she is opposed to the proposition because it would encourage more borrowing by local entities already buried in debt. “All this would add to our debt in an unknown and open-ended amount,” she said. Policy experts said building reservoirs and other big-ticket projects to meet future demand that does not materialize will put the credit ratings of public water systems at risk and significantly increase tax and water bills for customers. At the same time, the fund, as designed, would allow municipalities seeking to build projects to raise money faster and less expensively than through usual channels. Color me shocked that it’s these folks making factually dubious claims. I understand why some environmental groups aren’t thrilled by Prop 6, but this strikes me as one of those times to be careful about the alliances of convenience one forms. All in all, I’d much rather be in the Prop 6 supporters’ position, and since I do support Prop 6, that’s fine by me. The Texas House on Wednesday voted overwhelmingly to create a revolving, low-interest loan program to help finance a new round of reservoirs, pipelines and other water-supply projects for the drought-stricken state. Lawmakers approved House Bill 4 on a 146-2 vote, but left the question of how much seed money to provide the program for another day. State Rep. Allan Ritter, a Nederland Republican who filed the bill, said a $2 billion capitalization could finance the state’s entire longrange water plan, which identifies 562 projects over the next half-century to satisfy the demands of a rapidly growing population. The startup money would come from the state’s unencumbered Rainy Day Fund under separate legislation filed by Ritter. His HB 11 is pending in a House subcommittee on budget transparency and reform. Ritter said the new fund could leverage $27 billion over the next 50 years for water-related infrastructure. The loan program, as designed, would allow the state to continue lending money for projects as earlier loans are paid back. “This will work,” Ritter told House members to close a four-hour debate. See here for some background on this program, which is called SWIFT, the State Water Infrastructure Fund for Texas. The good news about this is that conservation efforts were made an explicit part of SWIFT, and the forces of nihilism were beaten back, at least for the day. The Observer explains. Despite the bill’s easy passage (there were 146 ‘ayes’ and just two ‘nos’), tea party-oriented members launched a challenge to key provisions in the bill-and spectacularly failed in what was another defeat for ideological enforcers like Michael Quinn Sullivan and Texans for Prosperity’s Peggy Venable, whose involvement in the spoiler effort lurked just beneath the surface of the debate. Rep. Phil King (R-Weatherford) led an effort to remove a key water-conservation provision. HB 4 has earned the support of some conservationists because Ritter included a stipulation that at least 20 percent of the funding go toward water conservation. King’s amendment would’ve gutted that requirement. King’s fellow legislators didn’t buy it though; the amendment was killed with a vote of 104 to 41. Rep. Van Taylor’s (R-Plano) proposed amendments didn’t go over so well either. Taylor, for one, wanted to ban the transfer of Rainy Day Fund money to get the water bank rolling. Rep. Lyle Larson (R-San Antonio), in a moment of political drama, called Taylor out for being what he called “disingenuous.” He asked Taylor if, should his proposed amendment pass, he intended to vote for HB 4. Taylor replied that he would still not vote for the bill. Larson blew up. “If you’re not going to vote for the bill and you’re offering up amendments, I think everyone in this body needs to recognize that. The idea of an amendment is to make the bill better … and what you’re doing I believe is disingenuous, to step up and offer amendments for political reasons, to try to gain some kind of favor instead of trying to make the bill legitimately better.” The House shot Taylor’s amendment down with a vote of 127 to 18. Good for you, Rep. Larson. There are legitimate questions about using the Rainy Day Fund for this purpose, but that’s not where Rep. Taylor was coming from. The puppet masters behind his amendment were as always primarily interested in spending as little money as possible on anything, regardless of its merit or value. If the startup funds for SWIFT come out of general revenue instead of the Rainy Day Fund, there’s that much less money for other things, like schools and Medicaid and everything else. It was a bad amendment, offered in bad faith, and it got what it deserved. But that won’t be the end of it, because there’s a separate bill (HB11) to authorize the transfer of funds from the RDF, and of course the Senate hasn’t discussed its companion bill yet. There are still plenty of opportunities for the forces of darkness to do their thing. PDiddie and the Trib have more. The headline on this story is about Texans’ increasing interest in recycling water. That sounds nice, doesn’t it? But there’s another way of describing it that maybe isn’t so appealing. Experts say recycled wastewater will play a key role in satisfying the thirst of a rapidly growing population. While reuse now provides 2 percent of Texas’ water, state officials say that over the next half-century the drought-proof source will account for at least 10 percent of new supplies. To reach the goal, state lawmakers may require at least 20 percent of any new funding for water-related infrastructure to go toward conservation or reuse. The requirement is part of House Bill 4, which would allow a one-time transfer of $2 billion into a new revolving, low-interest loan program for water projects. Before drought began gripping the state in 2011, the Texas Commission on Environmental Quality typically approved fewer than 20 reuse requests from cities and water districts each year. The number jumped to 32 two years ago and 38 last year, with 25 applications already pending this year, the agency said. Arroyo attributed the increasing interest in reclaimed water in part to the lingering drought, which covers 74 percent of the state. He also credited improving technology, which now is capable of turning sewage into water so clean it’s almost distilled. Water managers see wetlands as a reliable, less-expensive solution to more dams, aqueducts and pipelines that deliver water over long distances. Wetlands allow them to reuse water that they already paid at least once to store and purify. For all the interest in toilet-to-tap technology, more new potable reuse projects will take the indirect route through wetlands, rather than go straight to the faucet, Arroyo said. Meanwhile, most water reuse will continue to be for irrigation, landscaping and purposes other than human consumption. I’m going to step out on a limb here and venture that if you were in charge of an advertising campaign for water recycling, you might prefer to steer clear of the phrase “toilet to tap technology”. I mean, you probably don’t want people thinking too much about where that water originated. I know, I know, this is ultimately the way it goes for all of our water, with or without any fancy new technology. I suspect most people would rather imagine that their water all comes from a nice reservoir or a cool mountain stream or something like that. It may not matter that much if most of the recycled water goes to things like irrigation or decoration or other non-drinking purposes. I’m just saying. SWIFT is the State Water Infrastructure Fund for Texas, which would be created by the big water bills of the session, HB4 and SB4. Basically, this is a plan to create a water infrastructure bank, to finance various water projects that the state needs at low interest, with some seed money from the Rainy Day Fund to get started. So far the proposals have been met with approval by the various stakeholders. 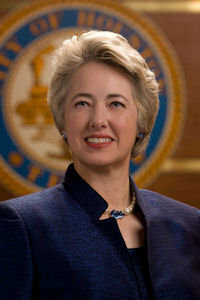 Houston’s Annise Parker, San Antonio’s Julian Castro and other mayors said the passage of House Bill 4, which would create a fund to help pay for water-related infrastructure, is necessary to satisfy the demands of residents and businesses. State Rep. Allan Ritter, a Nederland Republican who filed the bill, said a $2 billion capitalization could finance the state’s entire long-range water plan, which identifies 562 projects at a cost of $53 billion over the next half-century. 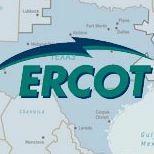 The projects would be selected by the Texas Water Development Board but would be locally owned and controlled, Ritter emphasized. “They need help in what I call ‘getting over the hump,'” he said of the financing challenge water providers face with projects that can cost hundreds of millions of dollars and take years to complete. There’s a lot of money at stake, and any time there’s a lot of money at stake, there are many competing interests for it. Much will depend on whether key lawmakers—Rep. Allan Ritter (R-Nederland) and Fraser in particular—can craft a fair structure for distributing what will likely be billions of dollars over the coming decades. That’s not terribly surprising but suggests that legislators will have to be careful to guard against allowing the water bank to turn into a slush fund. The key word is: prioritization. The state water plans lists 562 distinct water projects, a wish list drafted by hundreds of “stakeholders” organized into 16 regional water planning groups. Those projects are the essence of the plan. But how do you pick which ones to fund? What form does the funding take—grants, loans, etc? Which projects get funded first? Do conservation-focused projects receive a leg up or is the money going to flow into new reservoirs? Ritter’s legislation, House Bill 4, has been praised by environmentalists for requiring that at least 20 percent of the funds go toward water conservation. Sen. Fraser’s legislation, Senate Bill 4, would create a fund outside of the state treasury but would put the Texas Water Development Board in charge of prioritizing the projects. But Fraser repeatedly complained today that the board is ill-equipped to take on such a huge task. Fraser said he’d had trouble getting a simple list of water-supply projects that the board considers top priorities. Under Senate Bill 4, the Water Development Board would be run by three full-time commissioners instead of six part-timers. It would also set up a nine-member advisory committee to recommend water projects to the full board. Other senators, however, piled on Fraser’s proposal, leading him to stress that it was a work in progress and likely to be negotiated until the bitter end. This AP report goes into more detail about conservation and highlights a potential stumbling block for the legislation. Luke Metzger, director of the advocacy group Environment Texas, told the Senate Natural Resources Committee on Tuesday that it was critical that the state emphasizes conservation and ensures enough water is left behind for the eco-system. He pointed out that large-scale water projects, such as new reservoirs, can have a negative impact on the environment. He pointed out that San Antonio grew by more than 65 percent while still using the same amount of water and said other cities could follow that model. He said plans are for the state to meet 34 percent of future water needs through conservation and called on the committee to set aside that much of the new water fund for projects that save water. Just fixing leaky water mains could save enough water for 2.7 million Texans, Metzger said. So far no group has come out against creating what would be called the State Water Infrastructure Fund for Texas, or SWIFT. But the measure may require Republican lawmakers to vote in favor of lifting the state’s constitutional spending limit, which many conservatives do not want on their record. Have I mentioned before that artificial spending and revenue caps are stupid and destructive? This is another illustration of why. The issue here is whether appropriating money from the Rainy Day Fund would count towards the revenue cap, which mandates that spending can only grow so much from one biennium to the next. Use of the Rainy Day Fund wasn’t originally intended to be included in such calculations, but the fanatics who rule over Republican primaries don’t care for such subtleties, so the issue remains a potential roadblock for doing the things the Lege has said it wants to do. The good news is that the 2013 Lege does seem to be serious about water issues. House Speaker Joe Straus recently said Texas’ water needs will be a high priority, while Lt. Gov. David Dewhurst, who presides over the Senate, proposed tapping the Rainy Day Fund for $1 billion to finance new infrastructure identified in the state’s long-range water plan. Previous attempts to fund the water plan failed because of spending concerns, but Straus and Dewhurst have said the state cannot afford to go thirsty as its population grows. The plan warns of grave shortages by 2060 without more supplies. The new push to fund the plan is encouraging, said Heather Harward, executive director of H2O4Texas, a coalition of businesses, cities and water suppliers. “We could have certainty once and for all,” Harward said. The group has called for lawmakers to pour as much as $2 billion from the roughly $8 billion Rainy Day Fund to help pay for water-related infrastructure. The money would be part of a revolving loan program in which the state would help cities and other public entities start projects. Once the loan is repaid, other projects could get financing. The Texas Water Development Board, the state’s water-planning agency, has advocated a similar approach. It has suggested that the state could finance $44 billion in projects over the next half-century with a $2.6 billion capitalization. Some policy experts and environmentalists are skeptical of the state’s projected needs, saying the estimate overstates demand by assuming each Texan will use the same amount per day in the future. Studies show people across the country are using less water now than they were 30 years ago. 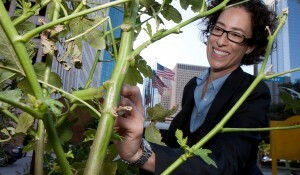 Leurig said cities should push to reduce daily consumption though conservation and efficiency because “it’s the cheapest water available.” In contrast, building expensive infrastructure to meet future demand that does not materialize will put the credit ratings of public water systems at risk and significantly increase tax and water bills for customers. Like I said, it’s a good thing that the Lege is starting to pay attention to this issue. You would have thought they’d have considered it back in 2011 when we were in the middle of the worst drought of most people’s lifetimes, but the Republicans were all drunk on austerity punch back then, and they’re only just now beginning to figure out where they’ve woken up, and where their clothes and car keys are. The qualm I have is with the use of the Rainy Day Fund to kickstart things. Yes, it makes a certain amount of sense, and yes, there’s more than enough money in the RDF to cover what they’re talking about. The problem is that the 2011 Lege wrote a bunch of hot checks that the 2013 Lege will have to cover – $4.7 billion to Medicaid, $2.1 billion to schools, all deferred obligations from the last biennium – and unless you’re willing to basically drain the RDF dry, there’s not enough in there to cover all of these things. If we use the RDF for this purpose, and then Straus and Dewhurst et al turn around and say the RDF is now off limits because there just isn’t enough there to pay for other things and still maintain a cushion, that’s not good. Since those obligations must be met, it would mean the funds would come out of revenue for this session, which is another way of saying you can kiss that so-called surplus good-bye. Frankly, under that scenario, I’d expect there would need to be more cuts, especially if the Lege follows through on its claims to be more transparent about the budget and to not resort to the sort of skulduggery they’ve always used to make the budget appear to be balanced. We’ve robbed from the needy enough, thanks. I also share Ms. Leurig’s concern about the need to prioritize conservation above all other efforts, as conservation is by far the cheapest and most effective solution. As the story notes, the San Antonio Water System, which has always emphasized conservation, came through 2011 in pretty good shape, while the wastrel city of Midland ran its water supply down so far it wound up hurting its water enterprise’s credit rating. Let’s not lose sight of simple and cost-effective ways to use less water and to encourage the use of less water, and let’s not build any reservoirs we’re not sure we really need. Independence Heights earned a place in history as Texas’ first African-American city, settled in 1908 and sovereign until it was swallowed by the city of Houston 21 years later. 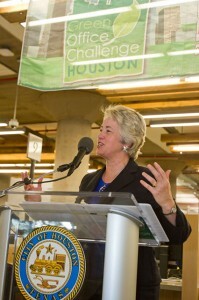 But tomorrow’s residents may be pioneers of another sort, as Mayor Annise Parker and a developer announced plans for as many as 80 energy-efficient homes powered entirely by natural gas and able to sell excess electricity to the grid, with the promise that home­owners won’t pay utility bills for at least a decade. I received some materials for the press conference on this, which you can see here. There’s more information on HouZE here and on their Facebook page, which has a bunch of photos on it. I like this for two reasons. One of course is the energy efficiency of it, as that’s often an overlooked aspect of greenness, for lack of a better term, as well as being a boon for the homeowners. Two, I love that it’s being done in a historic, near-downtown neighborhood that has a lot of empty space in it and that needs the revitalization. There are concerns, as there always are, about pricing out existing residents, but as you can see from the story neighborhood leaders are involved in the project, which should hopefully help mitigate those aspects. Growth is better than decline or stasis, after all. I hope this succeeds and expands to other neighborhoods like the Independence Heights. There’s a lot more demand for an increasingly limited supply. More than miles separate the rice farms of the Texas coast and the Highland Lakes, where the outward march of Austin is marked by each new house, strip mall and marina. They are divided by how to share the water of the Colorado River, pitting agriculture against recreation in a state that values both. Growers have turned on a new plan that would guide allocations in the lower Colorado basin for the next few decades, grousing loudly about water cutbacks to help preserve playgrounds. Meanwhile, those who live and work around Lakes Buchanan and Travis want guarantees of boater-friendly levels at the reservoirs. The Texas Commission on Environmental Quality will consider the plan by April. How the three-member panel rules could influence management of Lake Conroe and other popular reservoirs across the state. The water fight reflects changes in Texas since farmers began drawing from the Colorado in 1885. The Lower Colorado River Authority built the lakes to generate power and tame floods in the 1930s, and the state’s population has surged since then, with more and more people moving into communities that barely existed, if at all, when the dams were constructed. The state projects the population of the lower Colorado basin to double to 2.8 million people by 2060, and it is clear that there is not enough water to meet everyone’s needs. Growing population + drought + old rules = conflict. Obviously, agriculture is important, but I’m willing to bet that the revenue derived from tourism, recreation, and property taxes on lakefront real estate add up to a pretty penny, and will likely be more valuable on the whole than agriculture soon if it isn’t already. We know what we need to do – conservation, desalinization, not using treated water for irrigation, etc etc etc – and we know it will cost money and cause heartburn. We still have to do it. You may be wondering if all that recent rain has helped these lakes recover. Sadly, not much. Despite this already being the 11th-wettest July on record in Central Texas, officials said the unusually large amount of rain has not been enough to make a significant impact on lake levels in the area. Bob Rose, chief meteorologist for the Lower Colorado River Authority, said Austin has received 5.82 inches of rain this month at Camp Mabry — a far cry from July 2011, when the city received 0.05 inches of rain. LCRA spokeswoman Clara Tuma said Lake Austin received so much rain so quickly Sunday that officials were forced to open two floodgates to let out some of the water. The last time they did that was during Tropical Storm Hermine in September 2010, Tuma said. However, because June was such a dry month and because the heaviest rains were not in the watershed, the storms did not make an appreciable impact on lake levels, she said. Lake Travis remains 28 feet below its historical July average. Long way to go still. I’d be happy to send them some of our rain if I could, but then we might need it.